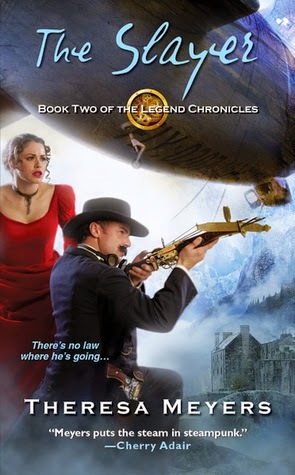 I happened to click on the RT Magazine review for Of Silk and Steam, the last London Steampunk book (which is amazing and you should go preorder it right now. . . or maybe after you finish reading this.) At the bottom of the page they have "related books" - I guess they're cousins - and they listed two of my favorite books, Heart of Steel by Meljean Brook and Wicked As They Come by Delilah S. Dawson. I've actually already written Read This Book posts about both of those series, Blud and Iron Seas. 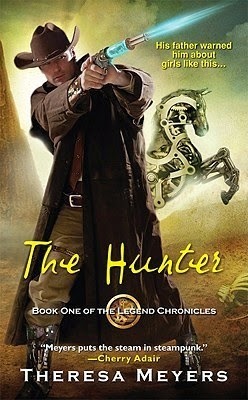 Then there was this other book that I'd never heard of before, The Hunter by Theresa Meyers. I figured if it was related to three books that I love I should probably check it out. And I'm glad that I did. The Legend Chronicles is such a fun series! The Jackson brothers come from a long line of Hunters. At a very young age their mother was killed in a demon attack and their father trained them to kill Darkin (supernaturals.) This sounds kind of like the premise of Supernatural, right? One of the brothers is even named Winchester! (The others are Remington and Colt.) I was pretty much sold right there. The series is set an alternate West with steam powered stage coaches and clockwork horses and dirigibles full of vampires stopping in town. The Jacksons are also The Chosen, three brothers destined to reunite the pieces of an ancient book and close the gate to hell. The demon lord Rathe, meanwhile, is trying to open the gates and destroy the brothers to prevent the prophecy from being fulfilled. Each of the brothers sets out with a Darkin partner to find one piece of the book. Colt stays in the American Southwest, Remington travels to Mexico and South America, and Winchester to Europe. Each book in the series focusses on one brother and his quest. I forgot all about Sam and Dean as soon as Colt started his search for the book. The Legion members who hid the pieces hundreds of years ago set up traps and tests to protect them. The Jacksons encounter all kinds of monsters (trigger warning: giant spiders!) while searching through caves. They crawl through catacombs full of bones. They step on the wrong floor tile and spikes shoot from the walls. They fall into trap doors and through secret passages in ancient temples worthy of Indiana Jones. At times I also likened this series to National Treasure. The Jacksons found clues and coded messages leading to the book's location. They studied ancient journals and used the history of the Legion in order to navigate the temples. I really enjoyed all the treasure hunting aspects of these books. And they travel in the most incredible ways. You may recall that I have a thing for dirigibles. This series has one of those, but there's also a flying pirate ship. There's a Civil War era submarine, a giant mechanical spider and of course the horses and trains of the real historical West. I definitely understand now why this series was compared to Brooks' Iron Seas. 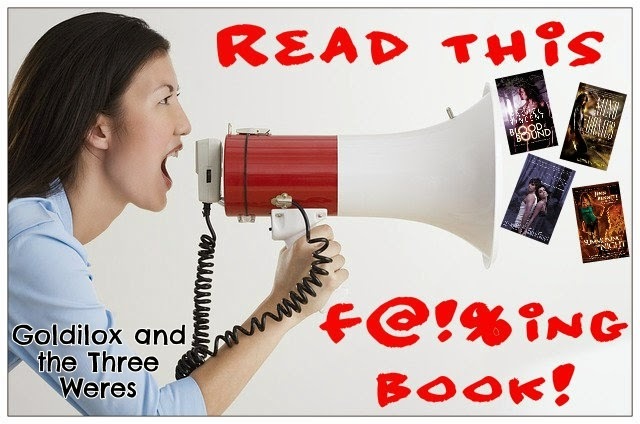 Any of these books could have been an Archimedes Fox adventure (if he were a cowboy.) If you liked Heart of Steel, try The Legend Chronicles. I've never heard of these. They sound interesting. a lot of steampunk is too dark for me. This series, though, sounds terrific! These are oldies (to me). I swear I have at least one of them, probably two but they got lost in my ereaders. I'll have to hunt them up. Thanks for the reminder. That's the problem with readers, books getting "lost". It's so much easier to look at the paper bookshelf and quickly spot those books you want to read if you don't recall titles/authors or even the book. Yup, found The Hunter. Sent it to my current tablet.